A fully automatic head bail with auto re-set facility. 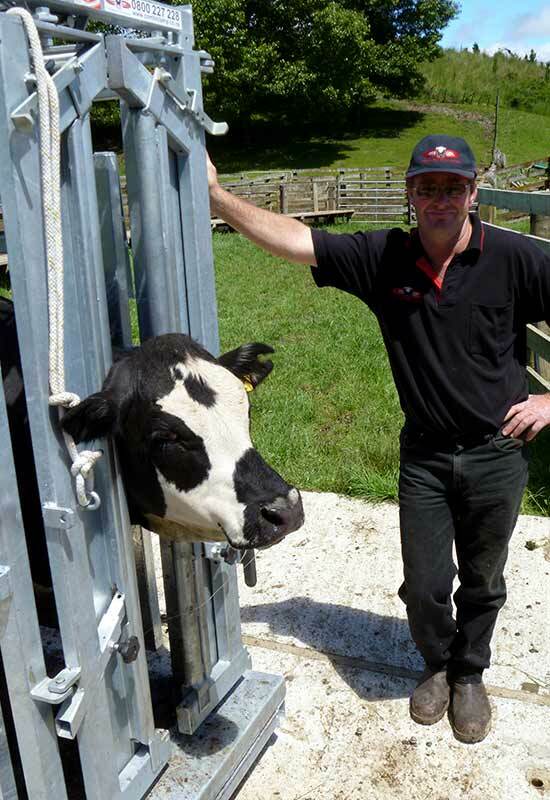 The Auto Head Yoke is designed by David Ritchie (Implements) Limited of Scotland and manufactured by Combi Clamp Ltd in their Palmerston North workshop. While in Scotland for the launch of the Combi Clamp sheep handler for David Ritchie Implements, we spotted the Auto Head Yoke and were impressed by several features that weren’t available in the New Zealand market. 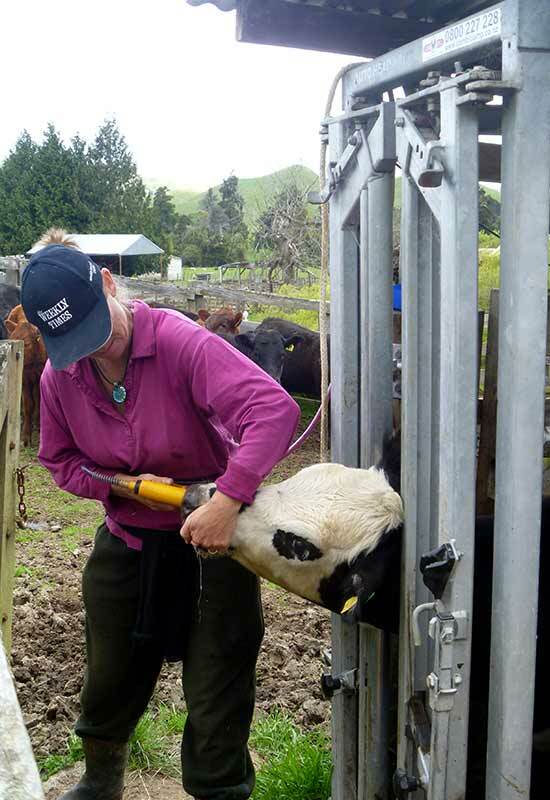 With a movement of a lever at the top of the head bail, the doors will automatically move inwards into the crush to the set position, ready to catch the first animal. The head bail is closed by the shoulders of the approaching animal. There is a neck rope available to restrain heads in a lower position for a finer procedure. Once the animal is dealt with, the operator has the option of forward release, or backwards and exiting by a side gate. 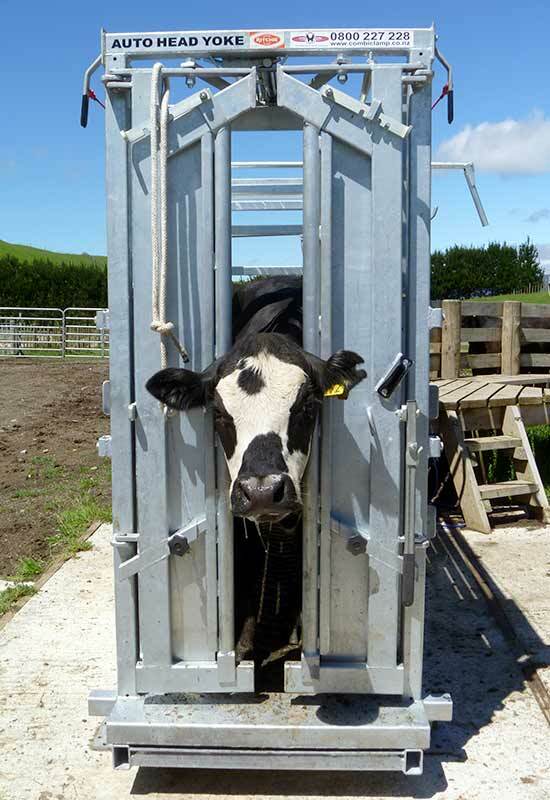 When the animal is released backwards, the doors will only go inwards, allowing a safe approach around the front of the bail to encourage the animal to reverse out. 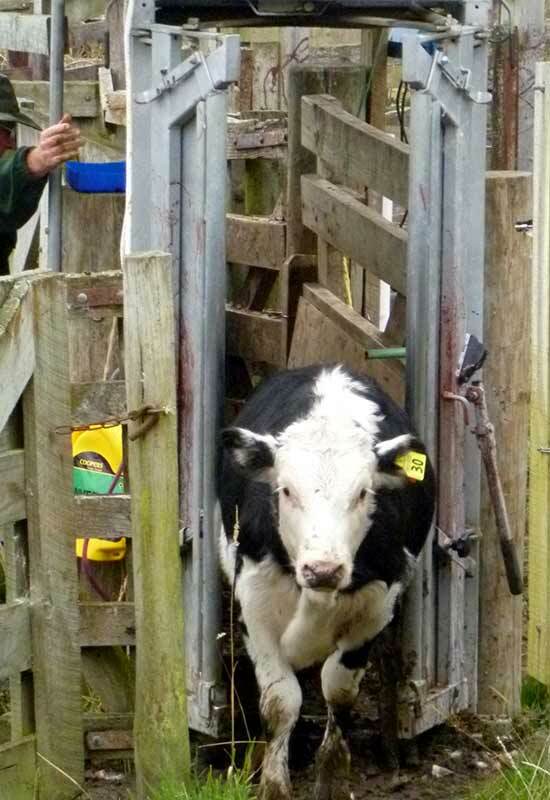 Following a forward exit, the gates are activated to pass through the closed position and re-set, without stopping, ready to catch the next animal. The width is easily adjusted to suit any sized animal. The Auto Head Yoke is quiet to use. There is nothing quite like hearing the sweet ‘click’ of an animal catching themselves and the even sweeter ‘click, click’ as the doors re-set to catch the next animal.